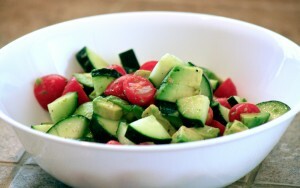 This is easily one of my favorite summer salads. While I enjoy salads with lettuce or spinach, there’s also something nice and refreshing about a salad sans green leafy veggie! 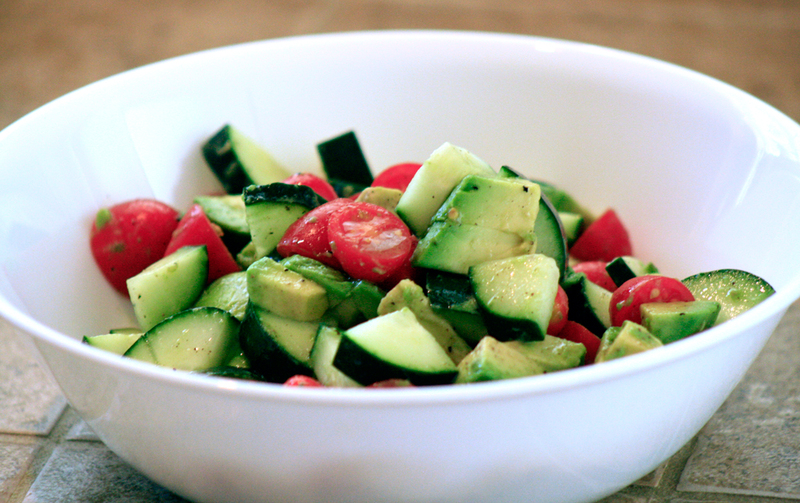 Put vegetables in bowl, pour dressing over and toss.